Objectives The aim of this article is to present the Copenhagen Psychosocial Questionnaire (COPSOQ), a questionnaire developed in three different lengths for assessing psychosocial factors at work, stress, and the well-being of employees and some personality factors.  The purpose of the COPSOQ concept is to improve and facilitate research, as well as practical interventions at the workplaces. Methods The development of the questionnaire was based on a survey of a representative sample of 1858 Danish employees aged 20–59 years. The response rate was 62%; 49% were women. Altogether 145 questions from some international and Danish questionnaires and 20 self-developed questions were tested with factor analyses, analyses of internal reliability, and analyses of response patterns. Results The analyses resulted in a long research version of the questionnaire with 141 questions and 30 dimensions, a medium-length version for work environment professionals with 95 questions and 26 dimensions, and a short version for workplaces with 44 questions and 8 dimensions. Most of the scales have good reliability, and there seems to be very little overlap between the scales. A novel feature of the COPSOQ is the development of five different scales on demands at work. Conclusions The COPSOQ concept is a valid and reliable tool for workplace surveys, analytic research, interventions, and international comparisons. The questionnaire seems to be comprehensive and to include most of the relevant dimensions according to several important theories on psychosocial factors at work. The three versions facilitate communication between researchers, work environment professionals, and workplaces.